You are in Home > Events > 400+ times THANK YOU ! 400+ times THANK YOU ! 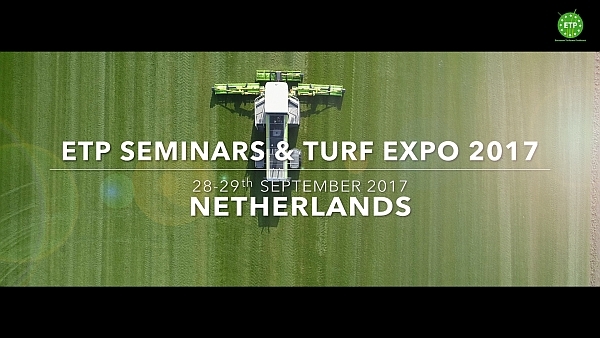 still on a high from the wonderful couple of days spent in the company of the 400+ sod industry people from over 25 nations around the world. We wish to thank you for making the 2017 ETP Seminar & Expo a resounding success, well beyond our brightest expectations. We wish to acknowledge all the organizers in Ysselsteyn, in particular ETP Board Members Peter van Mispelaar and Christiaan Arends, event organizer Judith Verbruggen of JV-Events and Rob Bruin at Direct Gazon for graciously hosting us. 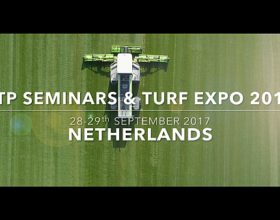 A big thank you also to all our speakers at the Seminar for making it such an innovative and informative session: Casey Reynolds of TPI, Bernd Leinauer of Wageningen University, Nicolas Evans of FIFA, Fabio Travaini of Tarkett Desso and our Social Media Manager Eef Dijkstra. We will start uploading their presentations in PDF format on this page as they are ready, so check back often. Also HERE you have the link to the video of the Expo, brilliantly produced by Bernhard Rodenburg at Studio Spaen and freshly uploaded to our new ETP YouTube Channel. All that’s left for us to to is get back to work in order to welcome you at the 2018 ETP Farm Tour in Comporta (Portugal). LOOK FORWARD TO SEEING YOU THEN !